Showing results for tags 'home interior'. 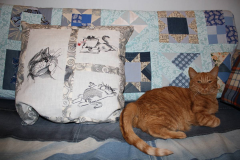 Author: Carole Ridley Zebra with glasses machine embroidery design will help you bring warmth and comfort to your home, which will turn your home or room into an even more charming place. Do not even doubt that the design of a zebra of a embroidery will serve as decoration for your interior, having appeared on any subject. Remember that everything is in your hands and the choice of the location of the design depends directly on you. Think carefully about what you need when decorating your room. Perhaps you are dreaming of a unique set for a festive meal? Then feel free to add this machine embroidery on napkins or tablecloths, so that food intake also gives you aesthetic pleasure. 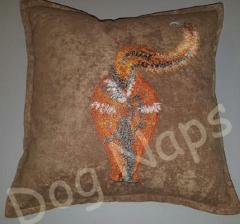 Or do you need a nice decorative pillow that will have fun and funny motifs? Here, too, the zebra with glasses free machine embroidery design comes in handy. Loved making this awesome design! it was a little tricky getting the tail to match-up, but I muddled through it and am pleased - even though it's not perfect. Thank you for an awesome design! 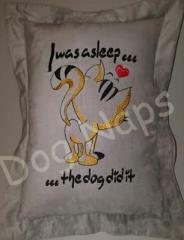 This is nice pillowcase which is so beautiful in its simplicity. It has snowy white surface which is decorated just with small picture of beautiful flower in left corner. Blue Flower free machine embroidery design can be executed in different color scheme in dependence of style of your bedroom. 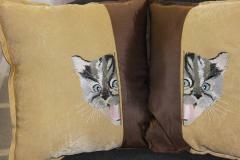 You can make some identical work piece to change it when you need and keep you interior stylish. 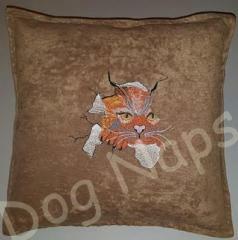 This is beautiful cushion which is suitable for almost all kinds of home design. 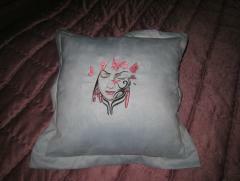 Due to its beauty it is able to embellish your interior as well as live flowers. 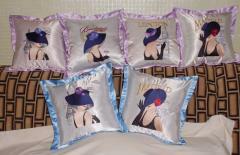 It is because of usage of original and amazing embroidery sample. It is Flower pattern. This picture perfectly conveys all details of bouquet which reflects in puddle of spilled water. 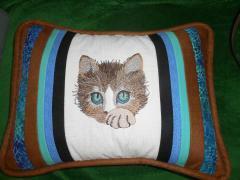 This interior cushion is the nice textile souvenir made with all modern trends. It is made with bright pink color in combination with calm shades. Furthermore it is added by wise phrase executed in popular manner which reminds the cloud. Then it has the convenient pocket which is suitable for placing of magazine or even touchpad. 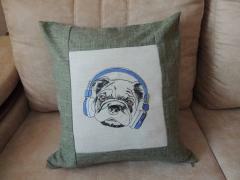 Finally it is decorated with Spaniel puppy machine embroidery design: it is the nice portrait of little cute dog. 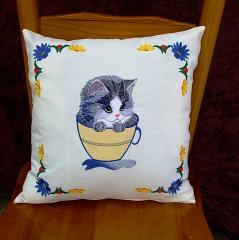 There is cute soft pillow full of magic. It is sum of some components. 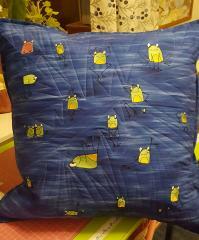 One of them is special fabric at top of cushion which reminds star sky. Second one is sage inscription which helps to see magic in everyday life. 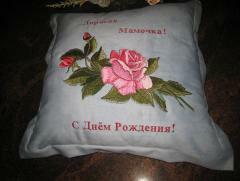 But the main is definitely Flying fairy with magic wand embroidery design. Picture of little girl with transparent wings behind her back makes everybody remember about little miracles around. 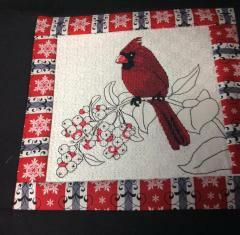 Author: Hazel Moorhead‎ Author comment: "Just finished this wee project ) I'm so happy..................totally addicted to this embroidery carry on. 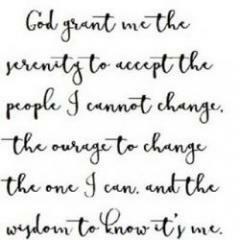 lol ) This group is ever so helpful and informative - thank you all x"